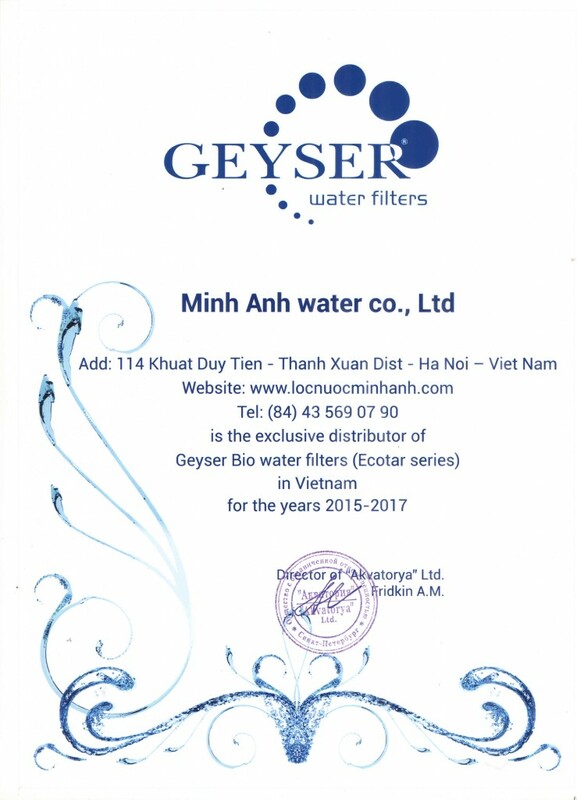 Geyser Company experts have designed a range of unique filtering materials and methods of purifying water. The quality and effectiveness of these designs has been confirmed by more than 20 patents and independent expert assessments. Patent 2203721 dd. 04.07.2001. A water filter and manufacturing method (Aragon material). Patent 2218984 dd. 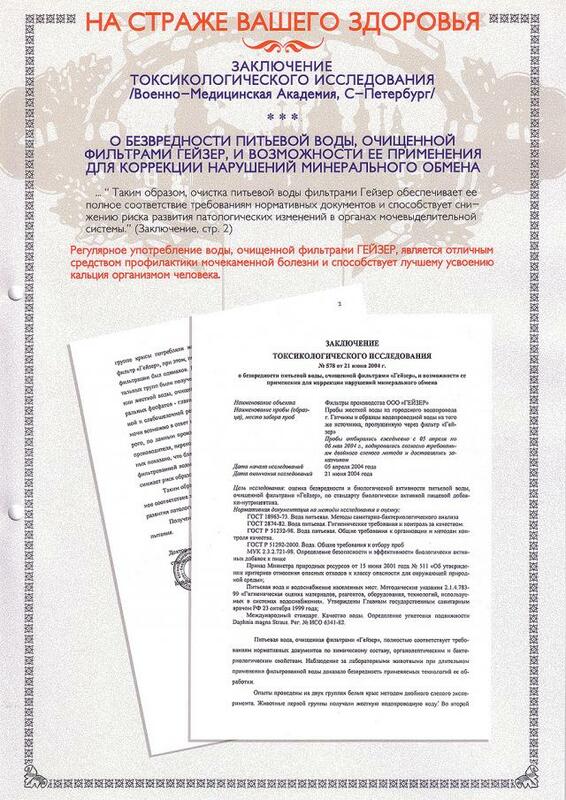 29.04.2002. Filtering dolomite-based medium for removing iron from the water. Patent 2212378 dd. 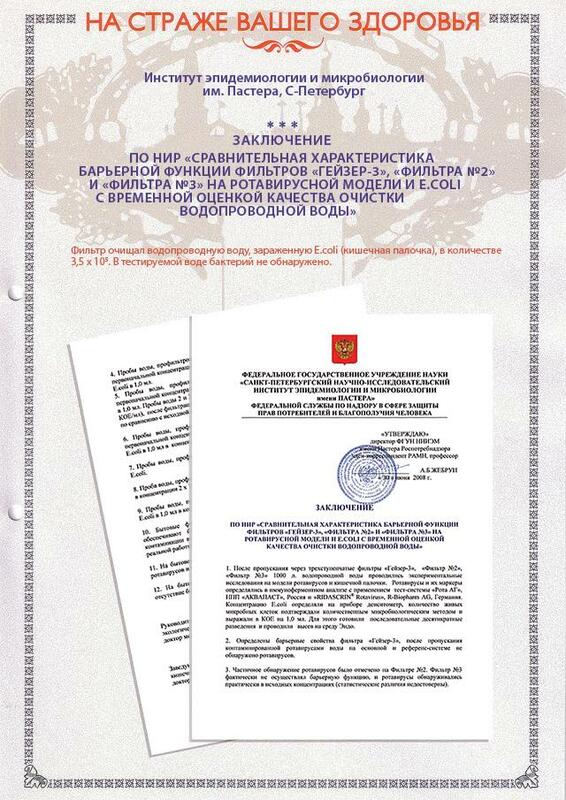 18.07.2002. A device for entering additives into the water (household filter mineralizer).